Is you septic tank in need of maintenance? Septic tanks and cesspits require regular maintenance to keep safe and in working order. Envirocare North West have vast experience dealing with all types of installations, and are accredited Service Engineers for Kingspan and Conder equipment, meaning we’ll ensure your system is maintained in line with manufacturer stipulations. 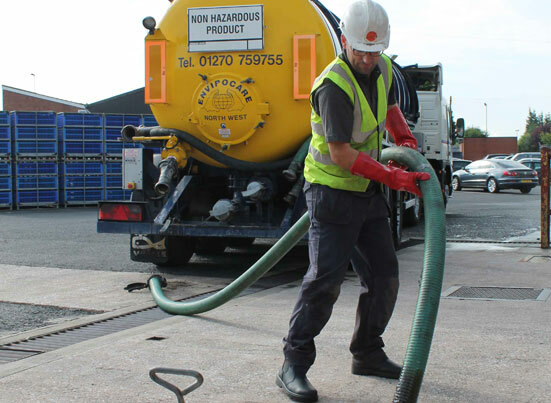 We’ll advice on how often you should empty your tank, provide you with the general dos and don’ts of upkeep and complete a service report after each visit – all to ensure you’re getting the best septic tank or cesspit maintenance possible. With over three decades in the industry, no one is better placed in the North West to advise you on your cesspit and septic tank maintenance plan. Our team of experts are on hand to help troubleshoot any issues you may have, or to take weight of regular maintenance off your shoulders. Call today to find out more. Left unchecked, cesspits and septic tanks may overflow and thus have an impact on the wider environment and waste management system. With Envirocare North West’s regular maintenance service, you can rest easy knowing that your system is being kept in perfect working order in line with manufacturer stipulations and Environmental Agency regulations.